Reduced ! 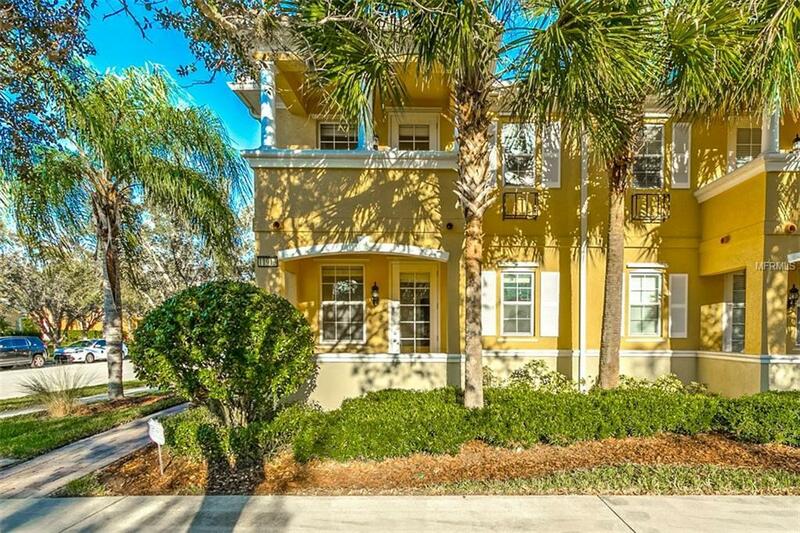 Dont miss this lovely Mediterranean-style end unit townhome in the beautiful gated community of VillageWalk. Featuring POURED concrete walls on both floors, the home offers low insurance and utility rates. Two master bedrooms are located upstairs while downstairs a third bedroom has access to a bathroom. Beautifully designed with solid surface counters, tiled main living areas, carpeted bedrooms and a 2 car garage across the fenced courtyard. Enjoy the ONE block proximity the 26,000 square foot community center with mailboxes, two pools, basketball court, 6 tennis courts, playground, 24 hour fitness center, and even a gas station. The main gate is manned around the clock. The HOA includes garbage pick-up, yard care, exterior pest control, and basic internet and cable. Location, location, location: across from USTA, minutes from Medical City (including Nemours, VA Hospital, UCF College of Medicine), and MCO. Listing provided courtesy of Woody Properties.